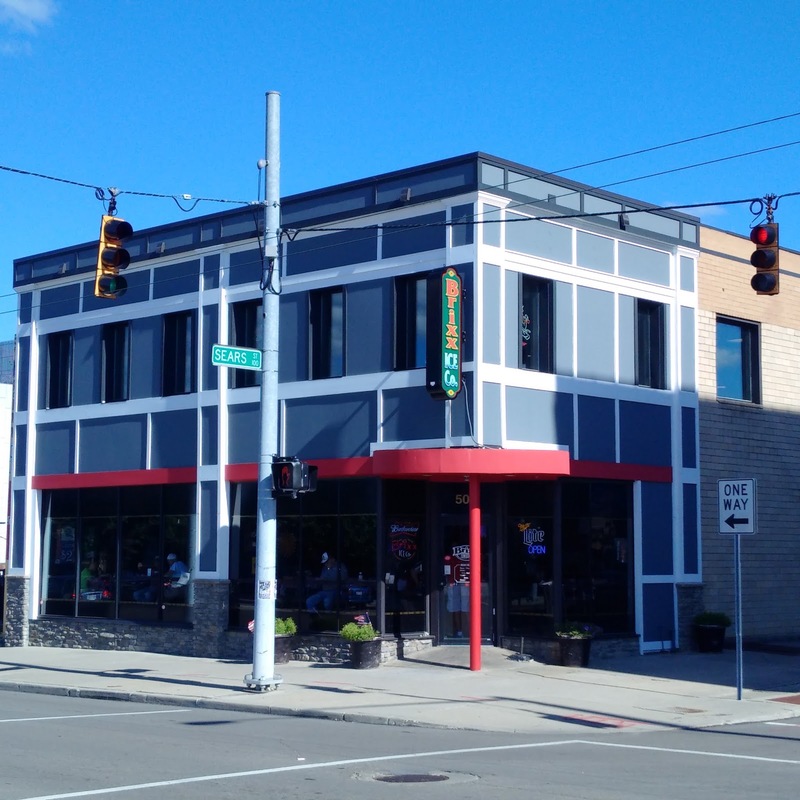 Royalty Tours USA: Royalty meets up with other Stampeders in Dayton, Ohio! 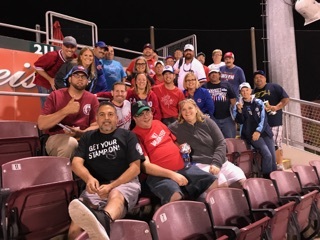 Royalty meets up with other Stampeders in Dayton, Ohio! 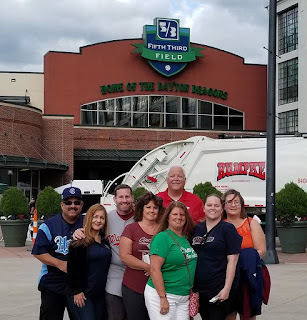 Early in the baseball season, Tim Parks, the founder of the MLB Ballpark Pass-Port Program, told Sandy Helton Smith & Erica Reniff in our Facebook group that if they can round up 25 people he would buy a block of tickets for a Dayton Dragon game. I decided to be one of the ones who would be interested in his creative idea. Due to overwhelming demand, they wound up getting 54 people who wanted to go. There was even more than that but those people had to be turned away. 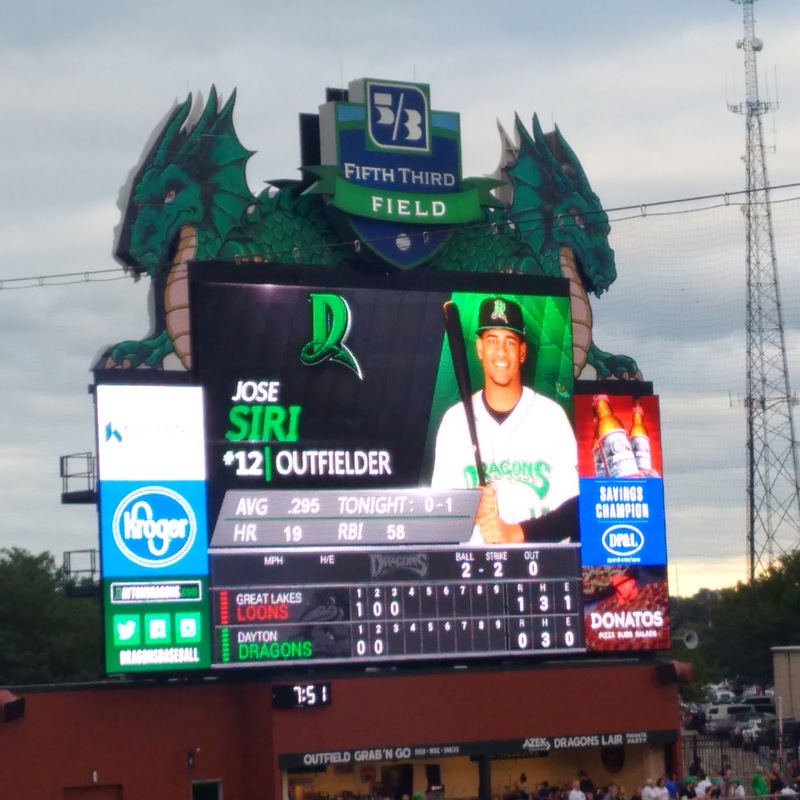 That game took place on August 4th when the Dragons were hosting the Great Lakes Loons, the Los Angeles Dodgers Single A farm team. I drove there with my pal & fellow Stampeder Paul Sanders. We were followed by his brother Greg & his nephew Alex who put us up for the day. After arriving at 6:30AM that morning. We slept until 1PM. We get cleaned up & we drove 180 miles to downtown Dayton. Greg mapped out the best route from his house in Belpre, Ohio with the GPS on his phone. We left there at 2:15PM & we arrived in Dayton at 5:30PM. 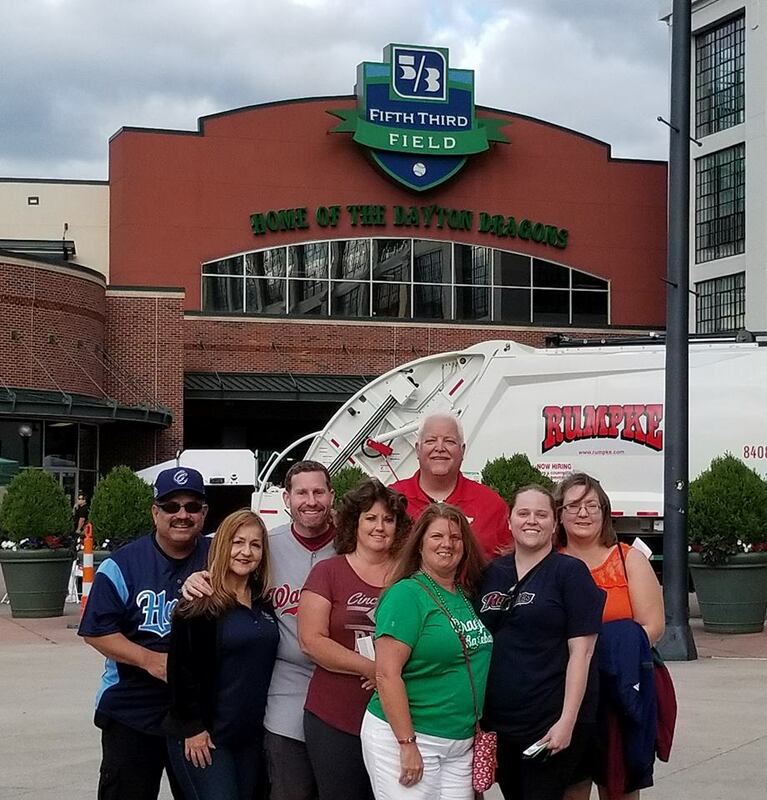 We parked our cars in a lot up the block from Fifth Third Field, which is the home of the Dayton Dragons, the Single A affiliate of the Cincinnati Reds in the Midwest League. 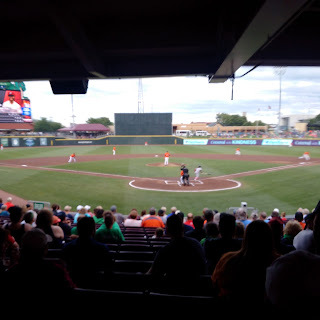 It was my third time going to that ballpark which I consider one of the very best in all of minor league baseball. They always sell out their games. I haven't been there in a long time so it was nice to revisit again. 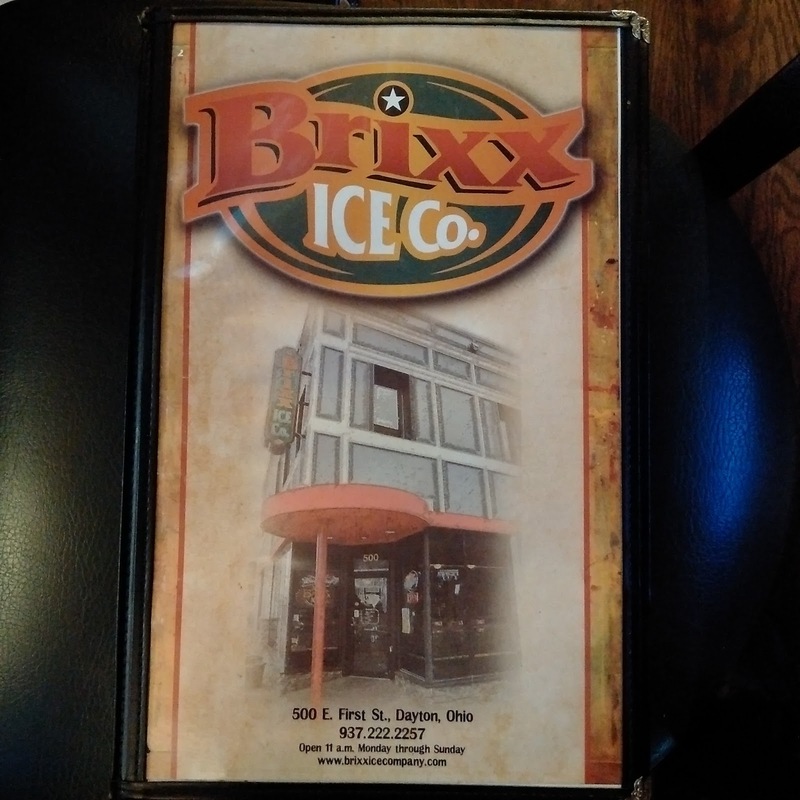 Before we went over to the ballpark, we stopped off to have a pre game meal right across the street at the Brixx Ice Co. which is located on the corner of Sears Street & First Street. 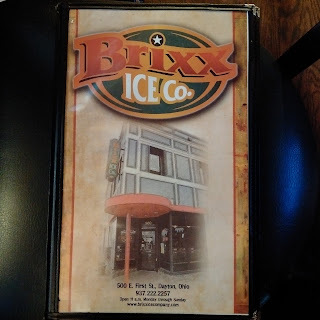 Thanks to Sandy Helton Smith who recommended this place. 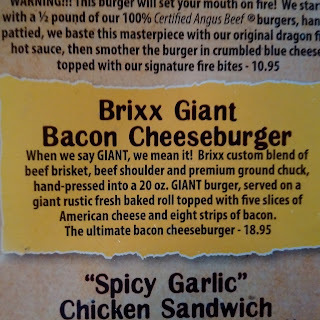 I looked at their menu online. It was extensive & it also catered to children 10 & younger. I told her it was a brilliant idea. With that being said, we posted the details in the Facebook group. A good number of people gave their approval & we arranged to all meet up there. Since we arrived after many others were there already, I didn't get to take a head count of how many actually showed up. It was a great way to start the mini Stampede if you will. I got to see some familiar faces & I also got to meet some people I only knew online. The best part was when my pal David Rothenberg aka Swag man went out to his car & he came back with a gigantic bag full of goodies. Here are some of the Stampeders that joined us at Brixx Ice Co. Since I didn't get to eat anything all day, I decided that I was going make up for it by having three meals in one if you will. 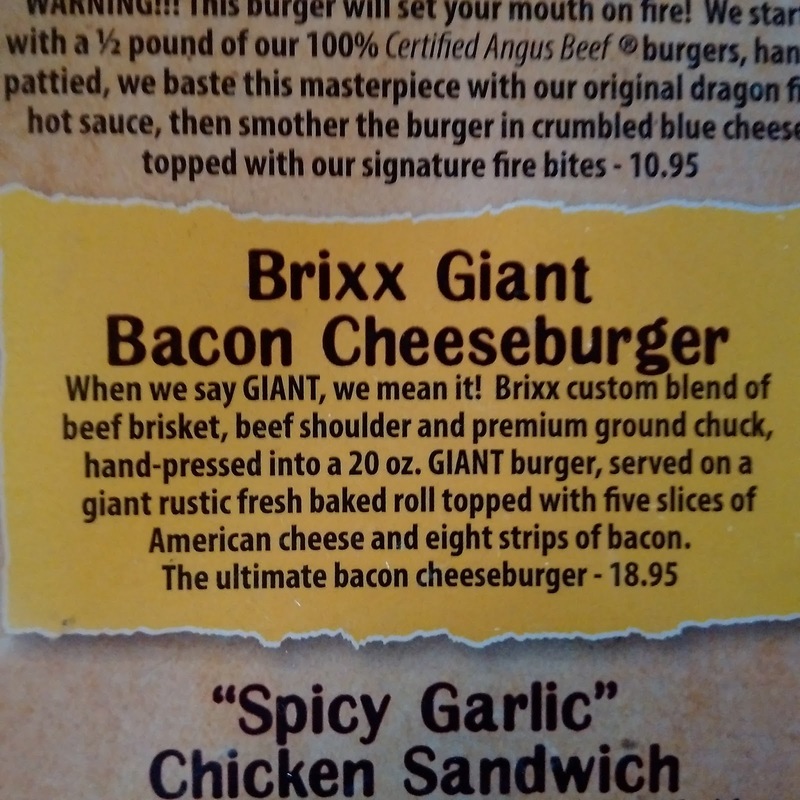 With that being said, I decided to order the Brixx Giant Bacon Cheeseburger. See the picture for all the details. 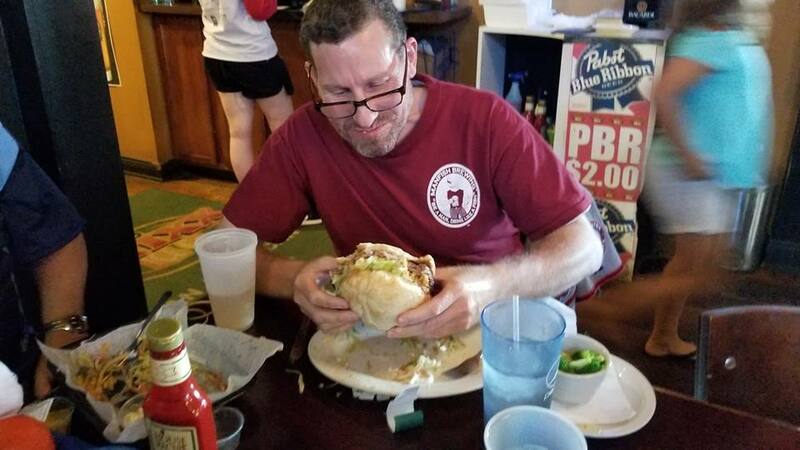 Mind you I wasn't trying to show any one how much I could eat. 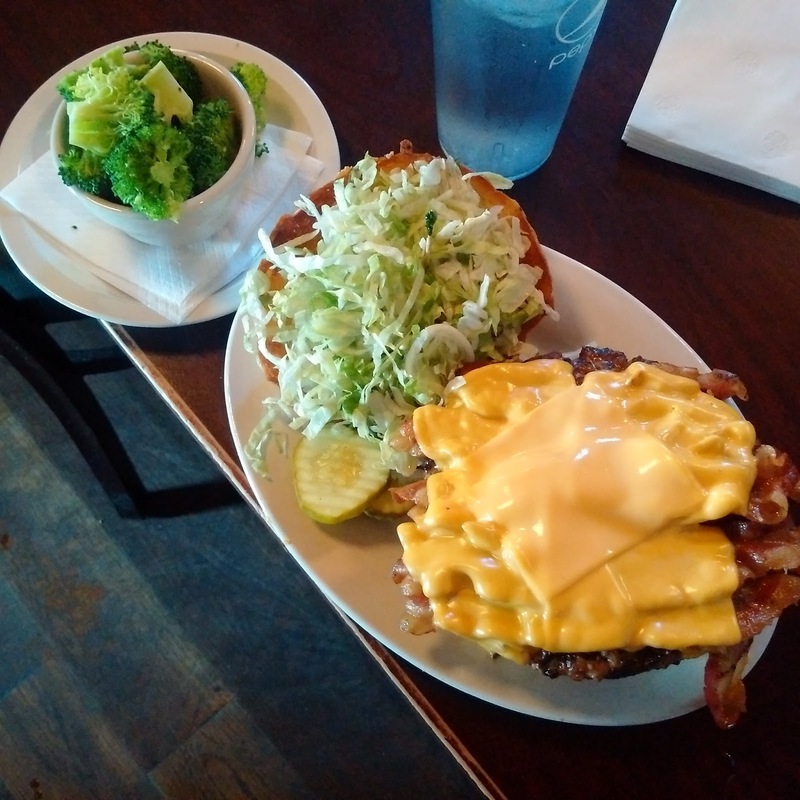 I was hungry & I wanted to indulge. Some people had finished eating & they wanted to get into the ballpark so they had left. However, some others stayed including the Cantus, Cindy & David who I met in June when they visited NYC from Corpus Christi, Texas & they watched to see if indeed I was able to finish my burger. Needless to say, I sure did. I hate to waste food. After I finally got done, I walked over to the ballpark where I got to meet up with Tim Parks & others who gave us our tickets for the game. We proceeded to go inside. Before going to our seats, a group of us stopped off at the team store to get our stamp on. After doing so, I proceeded to duck in behind home plate on the lower level to see the game's first pitch. After doing so, I went to my seat in section 206 where I got to see many people from the group. 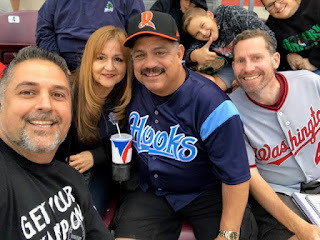 I settled in & we all enjoyed the game together. As for the game we saw, the Dragons lost to the Loons, 4-2. 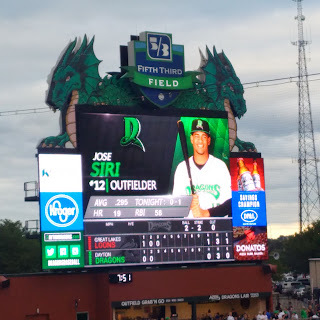 The highlight of the game was in the bottom of the eighth inning when Jose Siri batted for the last time with his league record 39 game hitting streak on the line. He was held hit less in his first three at bats. Relief pitcher Ryan Moseley of the Loons was working his second inning. His first pitch went behind Siri who took exception to it by staring him down. Siri eventually wound up getting a walk. On his way to first base, the benches emptied. Luckily cooler heads prevailed as no punches were thrown. Once play resumed, Siri stole second base & he went to third on a throwing error. He wound up scoring on a wild pitch. Unfortunately, Siri didn't come to bat again so his hitting streak came to an end. In that regard, we saw history. Afterwards we said our good byes to each other. 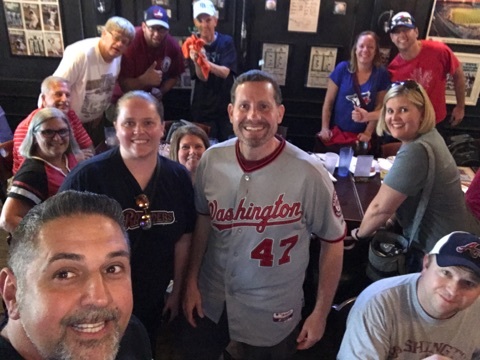 Many of us were going to continue the weekend in Cincinnati that Saturday. Stay tuned for a recap of how that day turned out in the Queen City. Thank you for reading & following along.